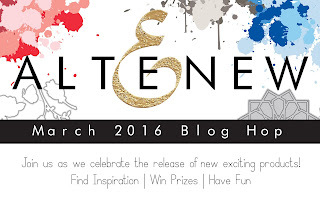 Crafting Confessions: Altenew March blog hop! I'm struggling to create after slipping on some ice and hurting my arm, but these new goodies made me determined and inspired to create a fun shaker card using the new Ori Kami die set. It's no secret that Ori Kami is one of my favourite Altenew stamp sets, so I'm super-happy to see that we now have the co-ordinating die set available too! Right, there's vital hopping to be done and prizes to be won too! 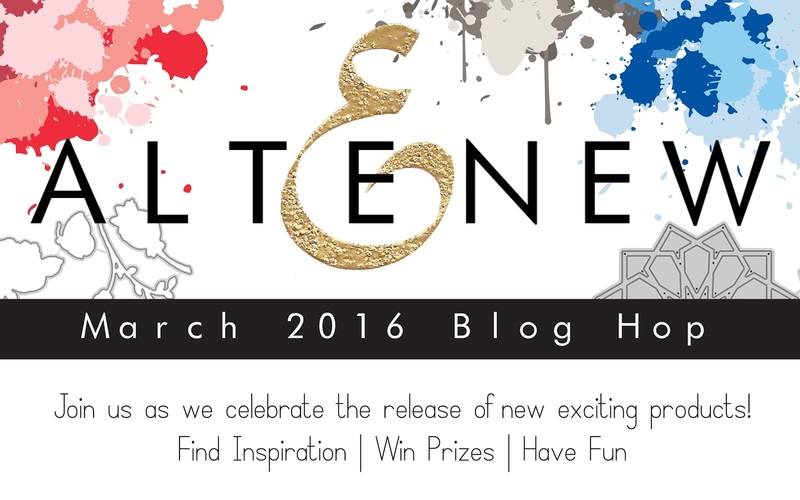 Altenew are giving away THREE $50 gift certificates – simply comment on their blog post by Friday 18th March 2016 to be in with a chance of winning one. I'm also giving away a $30 gift certificate to one randomly selected peep who comments on my blog post here by Friday, so let me know what you think of this release; it could just land you with some pennies to kick-start your shopping list! Next on your hopping adventure is the amazingly talented, Yana! Thanks so much for stopping by today! Cute card. I'm so excited about all the new inks and dies released this month. Sorry to hear about your arm. The card is lovely and the new dies are a welcome addition to the Altenew line. Oh so cute!! Love the bright fun feel of this card! Super cute shaker card Aimes. Love the elephant! Hope your arm will stop hurting soon! Wish you a speedy recovery, Aimes!! Great card!! The shaker card is perfect!!! A beautiful card...... amazing colors/dimension and the perfect sentiment! Very interesting card! It's unique! Your card turned out great! Love the bright colors. Hope that you are healing well! I hope your arm feels better soon. Thanks for sharing your card with us today. I like how the simplicity of the OriKami elephant in white contrasts with the background. The "Travelling" set definitely has some great sentiments for trips, trip-goers, and/or scrapbook pages! Your card also shows it's great for cards too, Aimes - love it! I love the elephant. Great card! I hope your hand gets better soon. I love your shaker card! What an adorably cute card. It put a smile on my face instantly :) Hope you get well soon! Cute shaker cards, perfect for a girl birthday !! This card is so much fun!!! Adventure begins with new stamps and dies! Fabulous card Amy and thanks for the chance to win! Love me a fun shaker card! What a fun idea for a shaker card. I love it! Such a fun shaker card! Your card is really fabulous and fun, I just love shaker cards. The Altenew release is fantastic! Cute card! Love the elephant-reminds me of my travels to India! Hope your arm feels better soon! A really different shaker card. Nice job on it. Such a fun shaker. Sure hope you're healing up. so cute!! thanks for sharing!!! Very cute card. Love the shaker elements. Love shaker cards and this one is adorable. 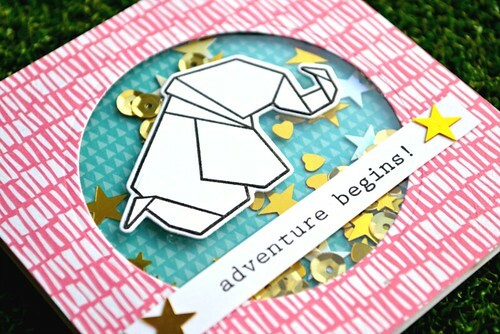 Love your super sweet shaker card, topped with your 'origami' elephant! FUN! What a great card. Thanks for sharing and for the inspiration. What an adorable card! Shakers are so fun! I love the mix of the bright patterned papers! Great card. Love the colours, they're so bright and joyfull. Your card tempts me to try a shaker card...love it. Love your awesome shaker card! The sies are a lifesaver! Cute card. This is a wonderful release. Your card is so unique. The card is very sweet. Your shaker card is so sweet! Hopefully your arm heals soon. Just love shaker cards; great color in your card! Love your shaker card! Thanks so much for you inspiration! Love this new ori kami die! i love that cute little elephant!! such a sweet card!! Hope you feel better soon! Super cute card! Love the new dies in this release as well as the inks. The card is very beautiful. I like the idea of coordinating dies since it makes life so much easier! Your card is beautiful. Hope your arm heals soon. Wow..amazing card. I send you happy thoughts to have your arm heal faster so you can showcase more of your artwork. Such a bright and happy shaker! Love it! Just a darling shaker card. Love the patterns juxtaposed with that elephant (also a favorite of mine). Hope your arm is healing well and that you'll feel better soon. What a great release! I have a very long wish list!!! Super cute card!!! Love all the matching dies. What a cute card. Hope you are feeling better. Thanks so much. What a fun card! I also like the papers you used too! Thanks for sharing! 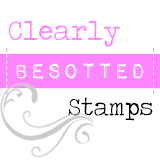 Great card, I love that stamp set! Your Ori Kami card is adorable...glad there are dies now available! Thanks for sharing....and, take care to get well - lots of crafting waiting - LOL! Love your fun shaker card. Thanks for the inspiration! Thanks for sharing your card! Wonderful card...especially in light of your injury! Hope it heals quickly! 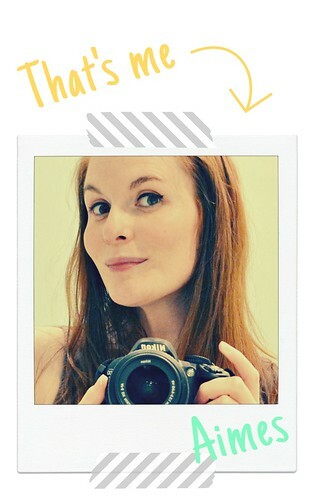 Super fun and sweet card! What a great card! Love the origami elephant! Can't wait to check out the rest of the Altenew releases. I'm such a fan! what a fun shaker card - love it!! Gorgeous colours in your shaker card. Lovely! Thanks for the inspiration. Like you I am glad to have matching dies now for a lot of my stamps. Love the whole release especially the new ink colours. Very cute card...love the colours and the gold sequins. Hope you feel better soon and your arm heals quickly. fun shaker! i'm excited for all the new dies! Very pretty card! Love it. Fun and clever card! Thanks for sharing. Cute shaker, love me a shaker card, lol. So excited, I can't wait to see the release. Thanks for sharing. Love this, Ames! Great shaker! So sorry about your accident. Love your great shaker card. Luv your origami shaker card - I also luv to make origami. I am not into origami but your execution is aces. I like the label. Love your super cute Ori Kami shaker card! The new sets are so wonderful. I love all of those vibrant ink colors. Great shaker card love the colors! Bon voyage indeed! Love that you made it a shaker card! What a wonderful new release and blog hop! I love your card and creativity! What a pretty card. I like the Ori Kami set also. Love all the colors and textures. Great hop. Ya'll are doing a great job! I love the pattern paper and the die cut on the elephant is spot on. I'm so sorry you hurt your arm I hope it feels better soon. Hope you heal and can craft again real soon, love your sweet elephant shaker! Cute card, I love shaker cards they are so much fun. What a cute elephant and I really like that you made it into a shaker card. Thanks!! Great shaker card. I always have problems with static. Love this cute origami elephant with shaker element! This Ori Kami set is just so beautiful !!! Love that you made a shaker card too. I'm loving this release so far. So many lovely inspirations ! What a fun shaker card! LOVE the mix of colors and that elephant is awesome! TFS! I love shaker cards. Thank you for sharing your ideas. I'm new to Altenew but I can't wait to be able to order. Thanks for the chance to win. So super cute! Love that origami elephant! The card with wishes of happy travel lovely! Adorable! This is a great release. cute card and the elephant! So sweet! I love the contents of your shaker! I'm so excited about the new ink colors..I did not think anything would replace my affection for Distress Inks, until Altnew's Crisp Inks came into my craft room! Great card. Love the colors. Get well soon. Very cute and colorful shaker card. it's a super beautiful shaker card!!! Such a sweet card, and i agree with your 'adventure' sentiment. Hope your arm is 100% soon. Great job, so fun and cute. Thanks for sharing, it's so inspiring. Cute card, I love shaker cards. So sorry to hear about your fall, Amy, but you rose to the occasion with bells on! Very fun card! I like the background designs of your card. Also that is a clever way to photograph your card - on grass or faux grass. Great card I'm very excited about the new inks and dies this release. Such a unique travel card. Love it! Aimes, so sorry to her about your fall. I love shaker cards and yours is great! Such a fun shaker with the origami ellie. ... I've never been exposed much to snow or ice before, can't imagine what it must be like, I'm impressed with how you have created such a FUN card while injured!!! THANK YOU for sharing and wishing you a speedy recovery!!! Fabulous! I really love shakers!! Wow!!!! Such amazing shaker card!!!! Love it!!!! Such a cute card! Love it! Thanks for sharing! Super sweet card you've made! Love all the new Altenews new release. I'd really love to Win! Wonderful shaker card! I am loving this release. Very creative and inspirational shaker card! Hope your arm heals quickly! Fun card! I love the mix of pattwrns and shaker element. Thanks for sharing. Injuring your hand certainly hasn't handicapped your style! Well done. Well done--I love your creation! Cute card! I agree with you, it is a great release. I am pleased to see more dies. Thanks for sharing. 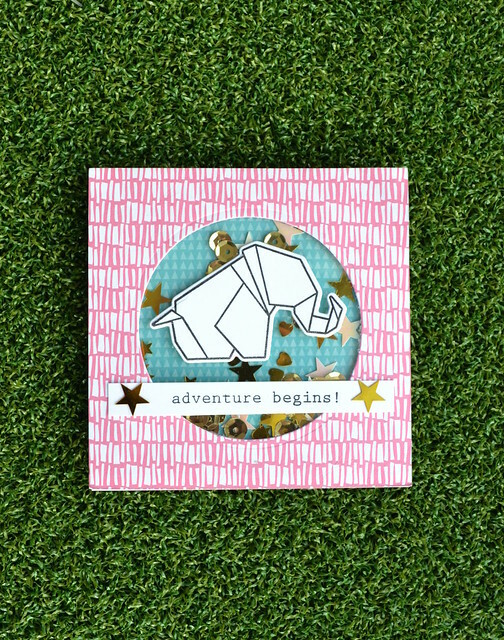 Love your little elephant shaker card! Hope you feel better soon!! Thanks for sharing!! This ia a great card. This is a great new release. I agree who wouldn't love to receive this at the start of a trip. Thanks for making it I hope you feel better soon. Great card! Cute idea for a shaker card! !